We were worried no one would come. It was right after Thanksgiving, at the end of a cold month, and it had already been rescheduled. But I should have learned by now that the Jalops always come through. 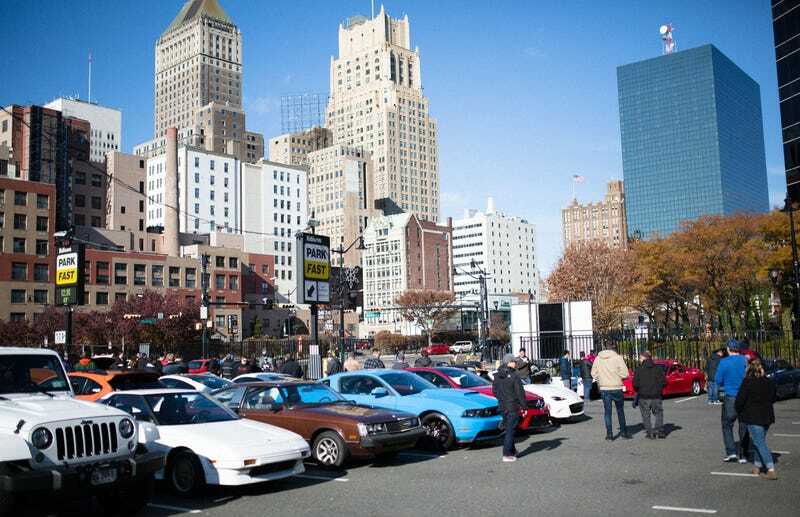 Thanks to you, our hurricane relief charity car show in Newark on Sunday was an overwhelming success. Though the event technically started at noon, the lot was 75 percent full just a few minutes later, which led us (after a bit of internal panicking) to send cars to an overflow lot across the street. That one was nearly full too, so by peak hours we had at least 350 cars come out and some 700 people. That’s amazing. You all are amazing, and I cannot thank you enough. We’re still totaling out all the money we raised through online sales, at-the-door ticket sales, shirt sales from our awesome friends at Blipshift and other sources. But all told we’re expecting that to equal something like $20,000 or more for the Hurricane Harvey Relief Fund, United For Puerto Rico and The Miami Foundation. Not a bad way to kill a Sunday afternoon, huh? Like I said, the turnout was positively bonkers. So was the variety of cars, which was among the best I’ve ever seen at any car event I’ve been to. There was a whole section of Volvo wagons; two Holden-badged and very tuned Chevrolet SS sedans; a slew of Toyota MR2s, including imported right-hand drive ones (it seems America’s solution to our MR2 scarcity is to just bring more over from Japan); a bunch of Nissan Silvias and Skylines; a 1980s Citroën diesel manual ambulance; a Mercedes-Benz 450SEL 6.9, whose engine bay a bunch of us gazed at with a mix of awe and terror; a very menacing black Corvair Corsa; a DeLorean; a McLaren 720S; an imported Mitsubishi Pajero that now haunts my dreams and deepest fantasies; Mike’s stupid Yugo; a new Corvette Grand Sport; and so much more. Also, dogs! Lots of dogs. Plus, we heard you guys loud and clear: Jalopnik needs to do this more often. I agree. I’m keen to do it again in the spring, probably for a good cause once again, and maybe on the East Coast once more or somewhere new. I’m open to any ideas you may have, so let’s make this a thing. Once again, a big thank you to Blipshift, the nice folks at Edison Properties, and you all for coming out. Yo, You&apos;re Coming To The Jalopnik Hurricane Relief Car Show THIS SUNDAY In New Jersey, Yeah?